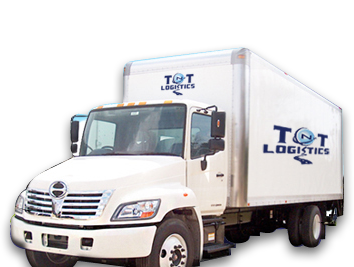 TNT Logistics, INC. specializes in household, corporate and international relocations. TNT which stands for Turner and Turner is a family owned company based in the San Francisco Bay Area. Lance Turner, the president and CEO, has over 30 years of experience in the logistics industry. Starting from the bottom and working his way up in some of the largest relocation companies in the world, has given him the knowledge to succeed for over 25 years of owning his own business. TNT logistics takes pride in training all employees with the proper techniques to get the job done the right way. Lance passes on his passion, work ethic and knowledge to the younger generations working their way up in the business. His passion and dedication to his job can be witnessed by his exceptional work ethic which includes him diving trucks and running jobs personally. Here at TNT Logistics we take pride in our strong core values and delivering exceptional customer service, which is what we believe, separates us from the rest. Being a small company, we have the advantage of connecting with our customers in ways that other larger companies are not capable of. Most times, the person who you initially connect with will be there every step of the way, from the initial call to the completion of the job. Our mission is simple; to provide you the best move that you will ever have. TNT Logistics goes that extra yard to ensure that the customer is taken care of. We understand the stresses of relocating and are here to help in any way possible, no matter if it is carrying a couch up five flights of stairs or moving the living room rug over an inch to make the room just perfect. We have a great team of experienced professionals that enjoy what they do, showing up every morning with a smile and eager to get the job done. We believe this to be the recipe of success and so do our customers, which is why our business is primarily done by referrals. TNT Logistics is here to help simplify your relocation solutions.